The habit of healthy snacking helps to regulate glucose level in body. Healthy snack mainatin endurance throughout the day. It provides vital nutrients to the body. Beside meals we should have snacks in between to ensure energy throughout the day. The habit of healthy snacking helps to regulate glucose level in body. It also avoids the tendency of overeating during meals. More over the option of healthy snacks fulfil the requirement of some vital minerals and vitamins in body. 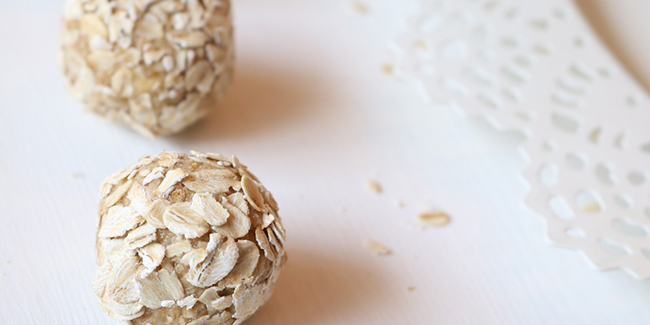 The power pack ball recipe with oats is a delicacy from ancient India filled with goodness of honey and helps to provide essential nutrients to body. Oats is a great choice now days. It scavenges the bad glycerol and maintains the glucose level in body. Sesame seeds contain essential nutrients to maintain a healthy skin. The flax seed used in this recipe is packed with omega 3 fatty acid which maintains a healthy heart. Almond is a potent antioxidant and is known to manage weight. Figs contain iron and zinc which helps to boost immune and increase blood cells.Ginger contains a chemical gingerol which fight against cancer. Fry sesame seeds and flax seeds in a thick bottom kadhai for 2 minutes on medium flame. Make a fine powder of both seeds using grinder. Now combine all the ingredients except honey and jaggery. To make jiggery syrup take 1 cup of water in pan and heat on medium flame. Add jaggery to the water and stir till it is completely dissolved. Stir thoroughly to ensure the consistency. Now add this jaggery syrup to the mixture. Add organic honey and mix the ingredients in bowl properly. Roll the mixture to round by hands. Make 8-10 medium size balls. 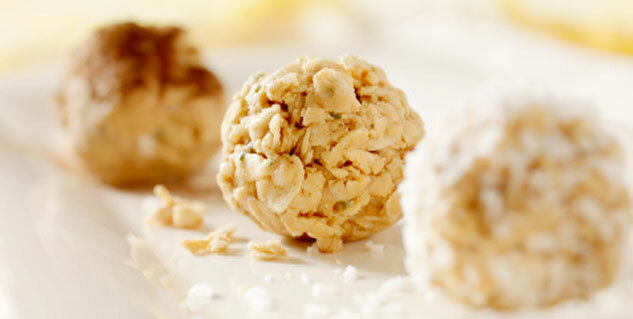 You power pack balls filled with antioxidants and nutrients are ready to manage you hunger pangs. If you have a sweet tooth you must try this recipe to manage your craving with no refined sugar.